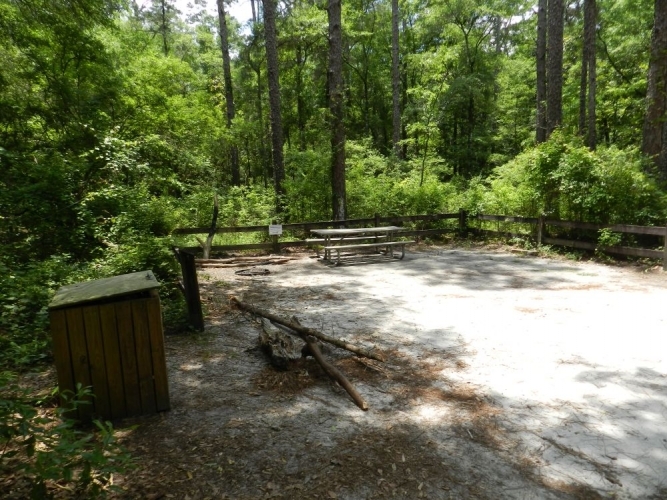 Longleaf is located on Econfina creek and offers a picnic table, fire ring, and a pedestal grill. Tent-only camping (no RVs) is available by reservation only. The nearest portable toilet is located at the Walsingham Park campsite and at Devil's Hole. Day-use is allowed from dawn to dusk in designated Day-use areas.